Skincare ingredients can read like fictional cities in a fantasy novel: Epigenetics, Bearberry, and Bakuchiol. No, those aren’t made-up battlegrounds in some new George R.R. Martin novel, they’re real, natural ingredients in a lot of the everyday products you use—even Bakuchiol, which is the focus of this nonfictional story. Bakuchiol sounds like a fake word, but the results are very real. The botanical ingredient is extracted from the bakuchi seed and is nature’s gift for happy, glowing skin. Using it can clear up acne, soften fine lines, and help skin turn over, giving a radiant glow—think of it as the gentler, nature-loving sister to retinol. This obscure sibling is picking up traction though. Pinterest has reported a 275 increase in searches for bakuchiol in 2018, and Google Trends reported staggering popularity for the topic in mid-December. Is this underappreciated ingredient right for you though? If you like the idea and associated benefits of retinol but don’t want the potential sensitivity issues, bakuchiol just might be your new favorite skincare ingredient. 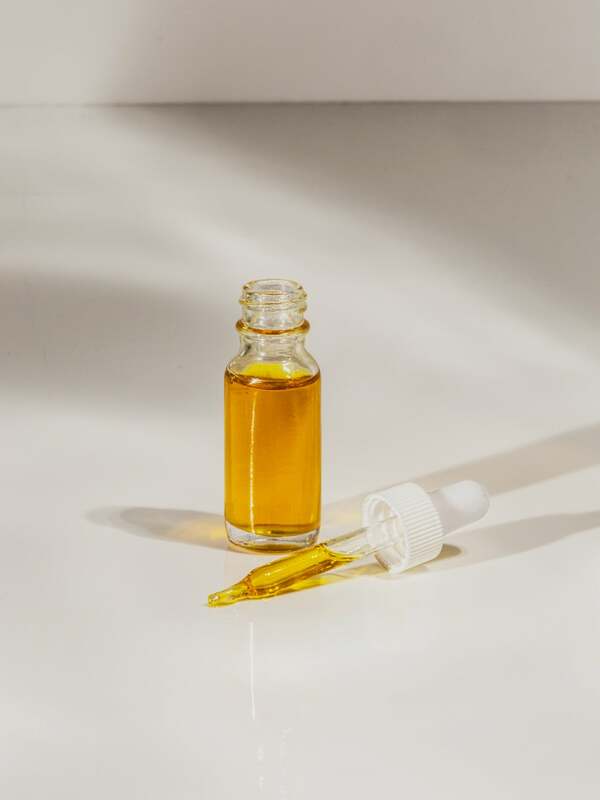 “This retinol-like functioning compound is shown to exhibit similar topical skincare benefits of retinol without the harshness, dryness, or irritation,” says Kendra Butler, founder of Alpyn Beauty. Traditional retinols are powerfully effective. The Vitamin A–derived product can reduce acne and pore size, minimize wrinkles and fine lines, and brighten skin tone and discoloration—but it can come at a cost. Vitamin A, for all its powers, can be incredibly harsh on skin, causing extreme redness, dryness, and irritation. For a lot of users, the cons can outweigh the benefits, which is exactly why similar alternatives, like bakuchiol, are becoming sought after. In the formulation and testing processes for Alpyn, Butler was either pregnant or breastfeeding, both of which are not recommended times to use pure retinol products. She knew she wanted a clean product with big anti-inflammatory and antioxidant results without any of the harsh effects. “I researched and studied every retinol substitute that was available on the market, and the conclusive results on bakuchiol really blew me away,” says Butler. Bakuchiol is included as one of the main botanical ingredients in both her Melt Moisturizer and the Line-Filling Eye Balm. Another huge bakuchiol benefit beyond sensitivity? It’s been shown to have photostability, meaning it’s not light sensitive like retinol, so it can be used during the daytime without fear of increased burning from sun exposure. Expect 2019 to be a big year for bakuchiol. This botanical has been secretly hiding in our medicine cabinet for years as one of the powerhouse ingredients in a handful of beloved products. But it’s finally becoming the star of the show, and as word catches on about bakuchiol, brands are beginning to proudly print the botanical’s name on the packaging and marketing materials. Here are a few of the products we’ve personally been testing and loving. Launched last year, this serum is powered with AHAs and bakuchiol, which fights early signs of aging, firms, and improves elasticity. That lavender tint, from hibiscus flower extract, instantly brightens and leaves skin with a radiant, fresh glow. And because it features bakuchiol, the serum comes with zero irritation, so much in fact that the brand’s tagline for this product is “Hello results, goodbye retinol!” We couldn’t have said it better, Ole. The retinol backlash and sequential bakuchiol acclaim are only rising, and clean beauty brand Biossance is onboard too. The brand’s site says, “If you thought you couldn’t get the benefits of retinol, think again.” For the retinol-like benefits in this serum, the brand clinically evaluated non-retinol solutions and found bakuchiol to be the most powerful and effective option. This lightweight serum reduces fine lines, firms skin, and improves skin tone with zero irritation or sensitivity. A good face oil should hydrate skin deeply, but a great face oil can also minimize wrinkles and boost collagen production, just like this one from Hungarian brand Omorovicza. Bakuchiol reduces the appearance of fine and lines and wrinkles, while a plethora of advanced natural oils repair the skin’s lipid barrier. Pat it on after your nightly face cream for a deep boost of antioxidant and moisturizing benefits. The perfect place for brightening, fine line-minimizing, and boosted collagen production is in your daily eye cream. Sensitive eye skin can age more rapidly and accelerated than normal facial skin, which is why this bakuchiol cream is perfect to massage on morning and night daily. Heavy-hitting antioxidants also nourish and protect from free radicals, while hyaluronic acid and squalene hydrate deeply.